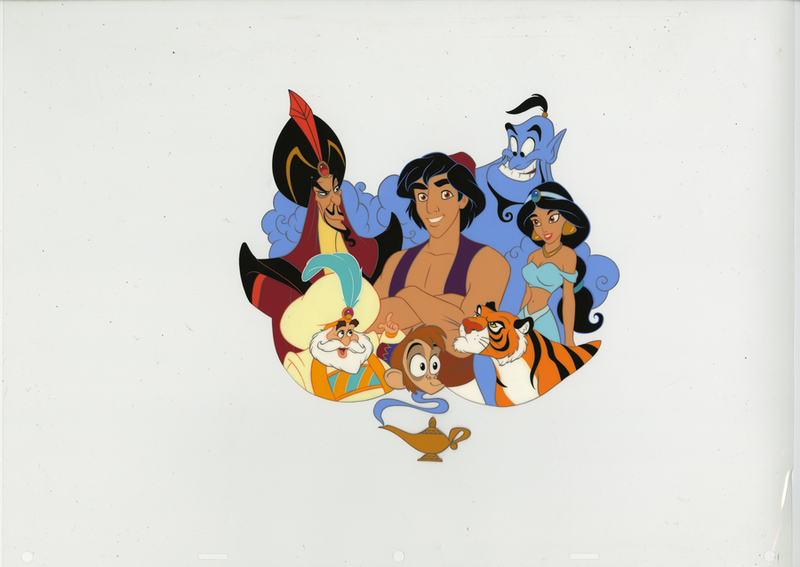 This is an original hand-painted cel from the Walt Disney Studios development of merchandise for Aladdin (1992). 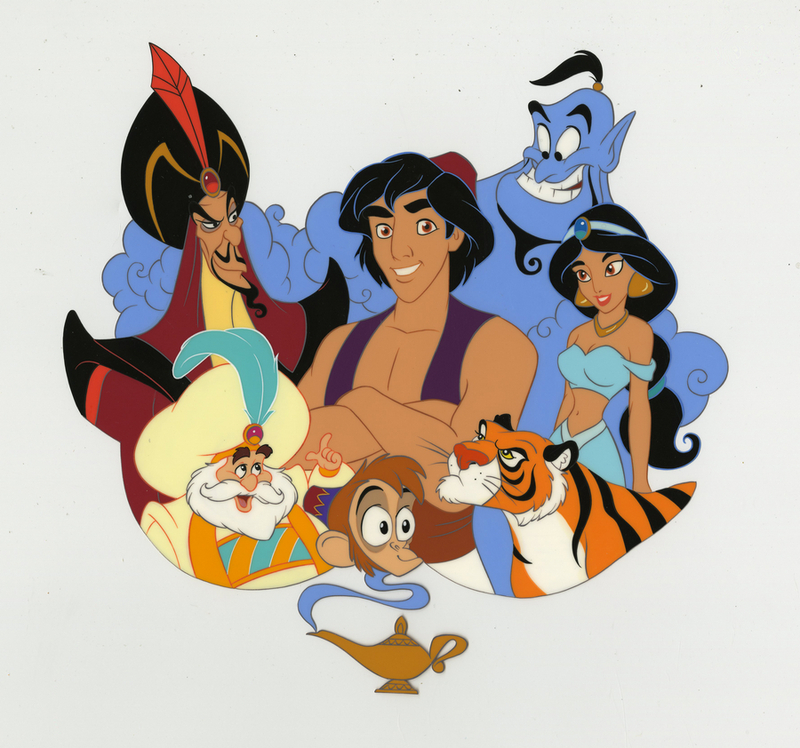 This cel features the main cast of characters including Aladdin, Jasmine, Jafar, Genie, Abu, Rajah, The Sultan, and the Magic Lamp, and was created at the studio, likely to develop an image that would have been applied or printed to a ceramic plate, cup or other piece of printable merchandise (there was a cast button created that features a similar image, but details of the image are slightly different). The overall measurements of the piece are 12.5" x 17" and the image itself measures 8" x 8". The cel is in good condition with a small crease in the lower right corner of the cel.